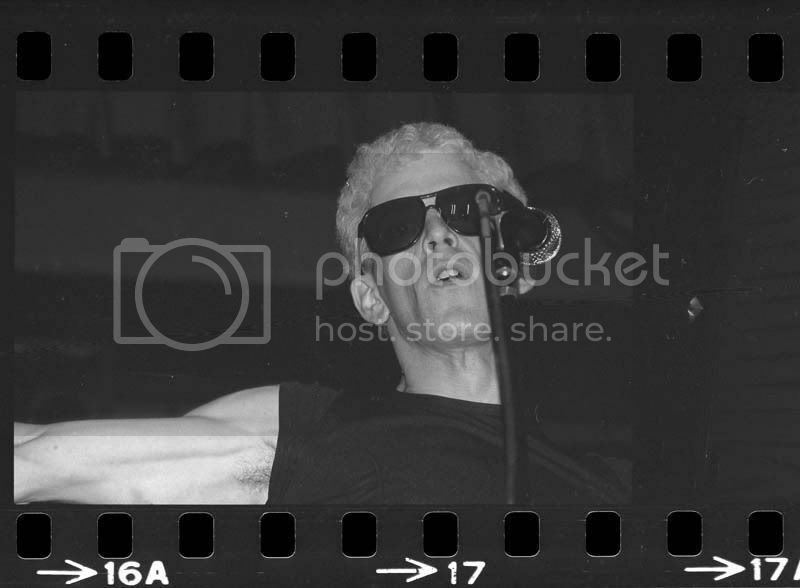 I was hoping to use this week to celebrate all things Lou Reed in anticipation of seeing him again live on Friday night, at Nashville’s Ryman Auditorium. This week just happens to be the final week of classes this semester though which has made writing here near impossible. Still, I can’t let the opportunity of honoring my favorite songwriter slip by so I hope to at least offer a couple of posts, as well as a look at Friday’s show after I see it. 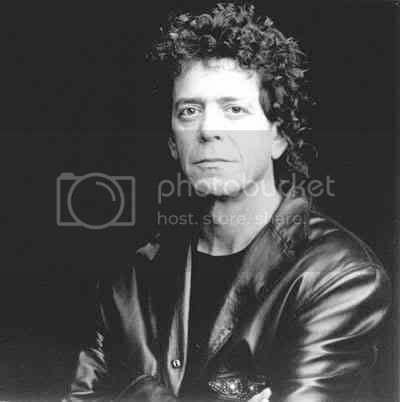 Every truly great rock artist from Elvis Presley to Bob Dylan to David Bowie has a mountain of lost in the groove tracks buried on their albums between the bona-fide classics everyone knows, and Lou Reed is no different. I thought it would be fun to go through his albums with The Velvets and his solo work and mention some of my favorite more ‘hidden’ and less talked about tracks that are just as powerful as the ones everyone knows like "Sweet Jane" and "Walk On The Wild Side". 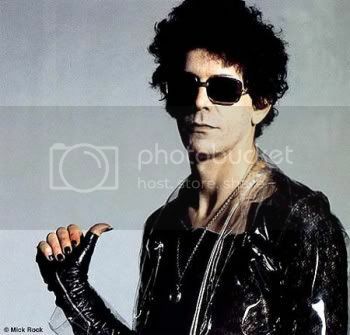 This isn’t a list of my favorite Lou Reed songs per say, although many of these would fall into that category, but instead a look at some often ignored classics that are among the man’s best. 1. 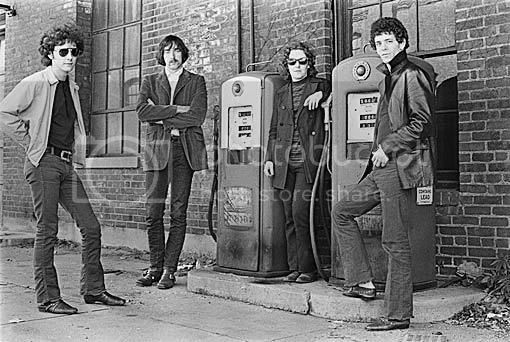 “Run Run Run”: The Velvet Underground and Nico. This delightfully crunchy track off the Velvet’s first album has long been a favorite and I actually prefer it to some of the more celebrated material on the legendary album. The great idea of highlighting a different character in each verse is inspired and pre-dates the similar notion that "Walk On The Wild Side" would perfect a few years down the road. 2. “Here She Comes Now”: White Light White Heat. 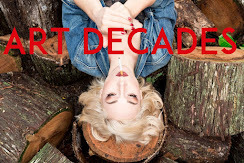 Amidst one of the noisiest rock albums in history is this inspired and lovely sounding tale of a girl “made out of wood” who can never quite reach the perhaps sexual spot she is continually trying to reach. 3. “Jesus”: The Velvet Underground. Among the most surprising tracks in all of Lou’s catalogue, this stunner is remarkable in just how un-ironic it sounds. 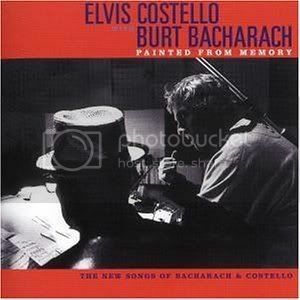 I would have loved to have heard Elvis sing this haunting and spiritually yearning track. 4. “Oh! Sweet Nuthin”: Loaded. Just about my favorite Velvets track…I would give anything to hear Lou revisit this rarely played number live. Intense, powerful and oh so sublime, this long track features some of Lou’s greatest characters and the guitar interplay between him and Sterling is absolutely unforgettable. 5. 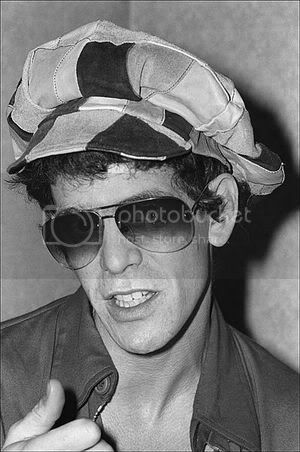 “Berlin”: Lou Reed. Everyone knows the album Berlin, but I am often surprised by how many people haven’t heard the longer original song that inspired it. The centerpiece of the first solo album features members of Yes playing with Lou, some extended lyrics and a coda nowhere to be found on the shorter Berlin version. This version would of course later be revisited live quite often with the Take No Prisoner’s take perhaps being the best. 6. “Hangin’ Round”: Transformer. Sandwiched in a typically throwaway position on Side One, this rocking and hilarious song features some of the most surreal lyrics Lou has ever written, with the inspired “Harry was a rich young man who would become a priest. He dug up his dear father who was recently deceased.” being among the best. 7. “Lady Day”: Berlin. One of the most majestic tracks Lou has ever layed down but often overlooked as one of the album’s finest moments. Outside of being incredibly haunting, I love this track because it offers up one of the oddest connecting points to Sinatra’s Watertown, as that concept album on divorce was originally planned to close with a song called “Lady Day”. 8. “Ennui”: Sally Can’t Dance. Drugged out and downright classic ode to disintegrating, sparked by one of the creepiest monotone vocals in rock history. 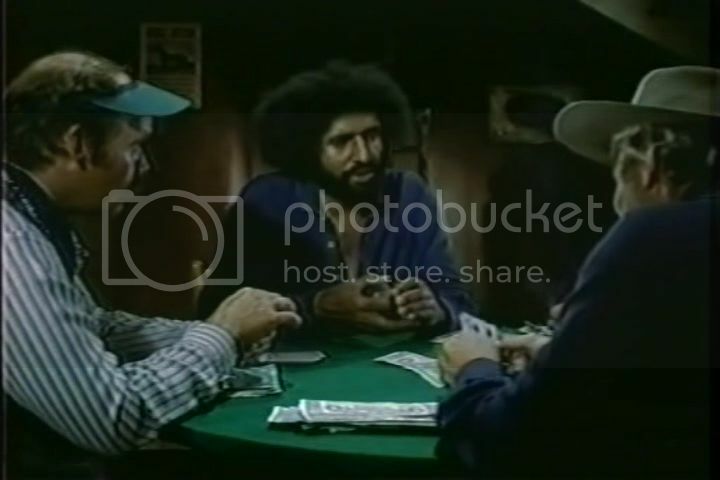 The line “Pick up the pieces that make up your life, maybe someday you’ll have a wife…and then alimony” stands as one of the most simultaneously devastating and hilarious in Lou's entire canon. Has falling apart ever sounded quite so delightfully dull? 9. “A Gift” Coney Island Baby. The lead off two Side Two of one of Lou’s most personal and greatest albums. This light tongue in cheek tale of a man who is an admitted “Gift to the women of the world” is sparked by some wonderfully warm and evocative guitar playing by Lou (who was returning to the instrument here for the first time in several years). 10. “Ladies Pay”: Rock N Roll Heart. A monumental song with one of the most devastating guitar solos he has ever layed down, "Ladies Pay" is an absolute masterpiece and, like the album it graces, has never gotten its due (even among some of Lou’s most dedicated fans). Another one I would love to see him pull out for a newer live reworking. 11. “Dirt”: Street Hassle. Outside of being one of the most vicious put down songs ever placed on vinyl, this track simply sounds like nothing else out there. The moment when he starts singing a slowed down, and unbelievably menacing, portion of Bobby Fuller’s “I Fought The Law” is one of the great moments in seventies rock. 12. “Coney Island Baby” Take No Prisoners. I am making an exception to ignoring live albums here to make mention of this unbelievably powerful take of one of Lou’s signature songs. 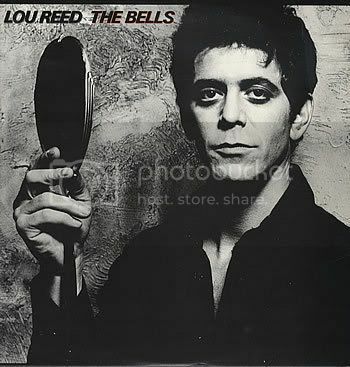 Frantic, intense and oh so moving, this is one of the great Lou Reed moments and should be more readily available. 13. “Families” The Bells. Although he has denied it, I suspect that this extraordinary song off my favorite Lou Reed album is one of his most personal. Featuring some of the most painfully honest and knowing lyrics of his career, this song is guaranteed to send chills down the neck of anyone whose ever felt spiritually disconnected from the place they come from…a real favorite. 14. “Standing on Ceremony” Growing Up In Public: Anyone who doubts Lou Reed’s astonishing abilities as a great rock vocalist is advised to check out this frenzied tribute to non-conformity. Growing Up In Public is one of Lou’s most underrated works and this song is among his best. 17. “Heroin” Live In Italy. Once again I am making an exception to the live record rule to include this searing take of Lou’s most legendary track. Marked by the face melting guitar dueling of Reed and the great late Robert Quine, this charging version of “Heroin” has to be heard to be believed. 18. “Doin The Things We Want”: New Sensations. Bob Dylan himself sang the praises of this great tribute to Martin Scorsese and Sam Shepherd back in the eighties and I totally agree with him…”Here’s to Travis Bickle and here’s to Johnny Boy”…wow. 19. “Tell It To Your Heart” Mistrial. Another gorgeous love song that had the misfortune to be on Lou’s worst album (which by the way you still need to have)…thankfully rescued from oblivion a few years back when he surprisingly started performing it live again. 20. “Endless Cycle” New York. Often overlooked as one of the best moments one one of Lou’s greatest albums, this song is one of the most devastating and honest looks at the cycle of abuse ever recorded…not just a great rock song, but shockingly great literature. 21. “Hello It’s Me”. Songs For Drella. The closing song to Lou and John’s moving memorial to Andy Warhol features some of the most forthcoming and emotive lyrics of Lou’s career…just so damn moving on so many different levels. 22. “Sword Of Damocles”: Magic and Loss. Featuring an unexpected and poignant string section and some of the most emotional lyrics of his career, this is simply put one of the great moments in Lou Reed’s catalogue. 24. “Big Sky”: Ecstasy. The anthem like closing to another one of Lou’s key works is a thrilling listen. While lyrically not among the stronger moments on the record, musically this is one of the most breathtaking songs from the last decade. 25. “Fire Music” The Raven: Insane revisit to Metal Machine Music is a potent reminder that no one can make more of a sublime racket than Lou Reed when he tries…would be perfectly at home on one of Sonic Youth’s more experimental records…a wordless triumph. 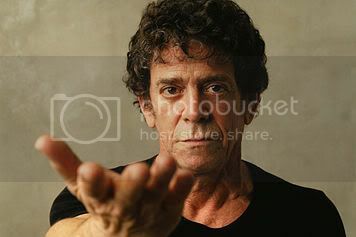 More Lou Reed posts to come…I hope this proved interesting to already devoted fans or perhaps to anyone who just knows Lou from “Walk On The Wild Side”. I am excited to hear that one of the best action films of the eighties, (and to my eyes, one of the best American films of that decade) First Blood is returning to theaters for a special one night showing on May 15th. Please visit this link to view the details on what promises to be an exciting night at the movies. With Stallone's Rambo (still far and away my favorite film of the year) heading to DVD in the next month, this will be a perfect opportunity to revisit the film that started it all. The screening will also include the theatrical debut of the alternate ending as an extra, as well as a video interview with Stallone himself. Thanks to the always essential Stallone Zone for this news. One of my most wanted films on DVD looks to be ready for a September release courtesy of Code Red DVD. I have only seen Ovidio G. Assonitis' Chi Sei? (Beyond The Door or The Devil Within Her) on the old cut American VHS release (pictured just to the right), so seeing the film finally uncut and in widescreen is a real exciting prospect. Looking over the extras Code Red has gathered, as well as some early screen shots (see below), makes me glad I have waited on watching the long version as this looks to be a definitive presentation. Details on this strange and really haunting film as well the impressive extras can be found here and here. This disc has been long in the making and I frankly can't wait for it to finally street. Labels: Beyond The Door, Chi Sei? Noted Elvis historian and author Bill Burk has passed away. Please click here to read the full report. My best to his friends and family. I wasn't impressed enough by Valentino Orsini's 1970 Italian Political film Corbari to write on it, but I did want to post some screen caps of Tina Aumont from it due to its rarity. I know several readers here admire and miss Tina as much as I do (and are frustrated that more of her films aren't available) so I hope these prove worthwhile. To view the original one sheet of this film, please visit my Harry Moseby Confidential. Despite having the admittedly remarkable cast of Alain Delon, Ornella Muti, Stephane Audran, Mireille Darc, Maurice Ronet and Klaus Kinski, Georges Lautner’s 1978 thriller Mort d’un Pourri (Death Of A Corrupt Man) isn’t as noteworthy as it might seem. The Cesar nominated film, despite some intriguing and powerful moments, finally falls a bit flat due to an overly convoluted script and some downright odd directorial decisions by Lautner. Born in Nice in the early part of 1926, Lautner got his start as an Assistant Director and actor in a number of French films throughout the fifties. Graduating to the director’s chair in 1958, Lautner delivered around forty or so features up until the early nineties when he mostly switched to television productions. Mort d’un Pourri is a political thriller based on a Raf Vallet novel and adapted by talented Michel Audiard. The extremely prolific and Cesar winning Audiard had his work cut out for him adapting Vallet’s complex and cynical tale of a man caught up in a world where everyone is seemingly corrupt and it shows as the final script for Mort d’un Pourri is just too layered for its own good. At nearly two hours, the film is quite exhausting and one can’t help thinking that a more toned down distillation of the novel’s themes might have worked better for the screen. The Delon produced Mort d’un Pourri is an extremely attractive production thanks to the always noteworthy Henri Decae, who provides some typically wonderful photography here. The Stan Getz performed Phillippe Sarde score is also a thing of beauty and the soundtrack is ultimately more recommended than the film it graces. The cast is uniformly fine and if the film is finally ultimately disappointing, then it is at least worth a look due to the actors involved with it. Delon dominates the film and is featured in nearly every scene. Just past the height of his beauty in 1978, Delon has begun to take on the sad world-weariness that he play so well throughout the eighties and nineties. He is quite good in this role, although finally it isn’t among his great works, and the Cesar nomination he received for it was well deserved. Although billed just below Delon in the film, breathtaking Ornella Muti has a surprisingly smaller role in the film and one cant help but wonder what more screen time for her might have done for the production. As always, she is a wonder to watch and looks lovely under the thoughtful lenses of Decae. The rest of the cast is fine, although some of their work, specifically Kinski, was hurt by some truly atrocious dubbing in the version I saw. Still seeing Alain Delon and Klaus Kinski working together in a few scenes is remarkable. Mort d’un Pourri is finally damaged the most by the rather flat direction of Lautner, whose work here is competent but never all that inspired (although it should be mentioned that there are some nice visual motifs repeated throughout the picture that I have tried to highlight with the sceenshots here). Honestly, it would have been preferable to have Delon directing the picture himself as it seems fairly obvious he was pulling many of the behind the scenes strings in general. There is a great film somewhere in Mort d’un Pourri, but unfortunately it never comes out and as it is it is just an average entry in the French Crime Thriller genre of the seventies. Lautner’s film did fairly well in French cinemas in the early part of 78 and it played throughout the year all over the world. It has never, to my knowledge, had a legitimate home video release in America and is currently only available on DVD in Europe. Fans of the genre, Delon and Muti should of course seek it out but it remains a flawed film that could have been something really special. To view some of the poster designs for this film, please visit my Harry Moseby Confidential. Elvis Costello’s performance at Nashville’s historic Ryman Auditorium last night was one of the most powerful and strangest gigs I have ever seen…a mesmerizing high wire act that had a blazing Costello powering through a two hour plus performance of songs covering his entire career as well as pretty much his entire new album. I’ve seen a lot of shows where artists seem almost hesitant about debuting new material but Costello dove into his fresh album last night with a ferocious confidence that I know probably left a lot of the near capacity audience stunned, but which I found positively thrilling. I haven’t been able to get the, as of right now, vinyl exclusive Momofuku but if last night’s presentation of the songs off of it are any sign then the album will end up as one of Costello’s classics…savagely raw, subversive and sonically jam like at times, the new songs are go for the throat stunners with special note going to the furious and lengthy tracks “Turpentine” and “Go Away” as well as The Kinks “Something Else” era sounding “Harry Worth” and “Mr. Feathers”. 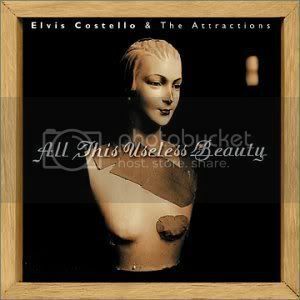 After hearing Costello and The Imposters roar through these tracks last night, the new album is at the top of my must buy list. The gig itself started out with a spirited and well played mostly acoustic opening set from June Carter Cash’s daughter Carlene. I’m certainly not an authority on modern country music, but Carter is clearly incredibly talented and her opening set consisting of songs from her new album as well as older tracks by herself and her family was very engaging and at times quite moving. She shared quite a few stories concerning her family and her own personal problems she has been having and she came across as a very genuine and honest person…it was a very enjoyable opening set that lasted just past the fifty minute mark. Costello’s set and his whopping three encores was played with such a wild abandon that I am actually having trouble remembering everything he played. I am looking forward to seeing the final set list but highlights that have stuck with me were two tracks off Imperial Bedroom, “Beyond Belief” and “Man Out Of Time”, the surprising choices “Clown Strike” and “Indoor Fireworks” and an angry reading of “The River In Reverse” which was downright savage in its delivery. Fan favorites ranging from “Pump It Up” (actually someone at the Elvis Costello Forum which is linked to the right was nice enough to point out this was a lapse in my memory as it was "Radio, Radio" and not "Pump It Up" that was played...sorry about the error, this was an overwhelming show) “Alison” to “What’s So Funny about Peace Love and Understanding” were also played to great effect and snatches of The Jam’s “In The City” and The Who’s “The Kids Are Alright” were heard as well, which made me feel like I was getting a neat listen as to what songs were rushing through Costello’s consciousness as he was pounding out this bruising set. The highlight of the main set before the encores was a lovely reading of The Velvet Undergrounds “Femme Fatale” which garnered a standing ovation and shouts of “Lou!! !” from much of the audience. Seeing Costello perform a track by my other favorite songwriting was downright haunting and I’ll not forget it anytime soon. I am a bit exhausted from the show (so excuse the sloppier than usual writing here) and am going on just a few hours sleep but I will include the final set list here as well as review links when they start to pop up. 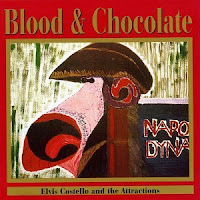 Of the several times I have seen Costello live, this show was the most thrilling in just how daring it was. Like The Kinks “Last Of The Steam Powered Trains” (a song that kept occurring to me as I was watching this last night), this isn’t an artist who is going run out of steam anytime soon…totally reenergized and still vital, the Elvis Costello of 2008 appears to be at his absolute peak although I wouldn’t put it past him to somehow get even better. Note: These two shots are from the Memphis gig that took place two nights ago. The Setlist just popped up online...here it is for those interested. 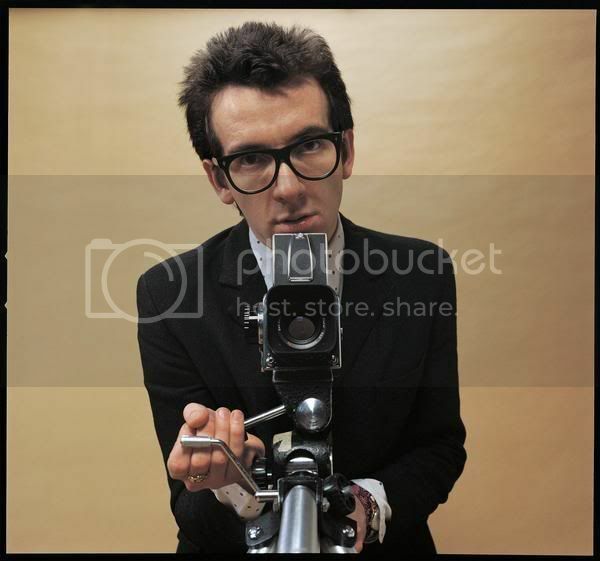 Tonight at Nashville’s historic Ryman Theater I will have the pleasure of seeing Elvis Costello live again. I have seen Elvis perform several times in the past fifteen years and each show has been among the best I have ever witnessed, so I don’t expect tonight’s to be a let down. With the exception of Lou Reed (whom, amazingly enough I am seeing at The Ryman next week) no songwriter has meant more to me than Costello. 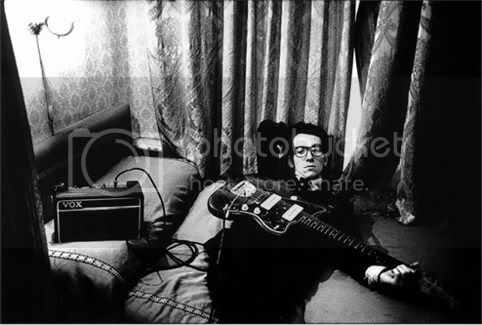 Since it had been awhile since I have attempted any kind of ‘best of’ list here I thought I would offer up a personal guide to the albums of Elvis Costello. 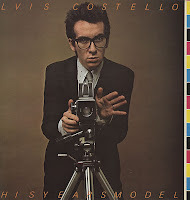 It was harder than I thought because frankly I like my least favorite Elvis Costello albums more than my favorites by most other artists and, as with any list, I will change my mind about the order of some selections immediately after posting. I’m making this a ‘Top Twenty’ list so a couple fell by the wayside and obviously I’m not including any compilations or live records…enjoy and feel free to argue or agree with any of my choices. I’m also including two favorite tracks off each record, which in some cases was harder than selecting the album order. 1. 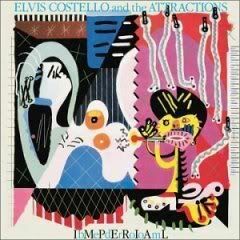 Imperial Bedroom (1982): My favorite album by just about anyone. 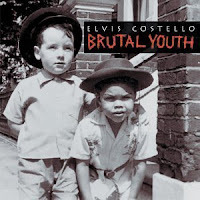 Costello’s stunning masterpiece stands alongside such towering works as Pet Sounds, What’s Going On and Low as being an album I can’t imagine a record collection without. Favorite Tracks: The whole damn album but if I had to pick, then "Beyond Belief" and "Man Out Of Time". 2. Blood And Chocolate (1986): Searing and often surprisingly overlooked mid-career work that finds Elvis at his most biting. The Attractions sound positively possessed on this album. ferocious and brilliant rock albums ever recorded. 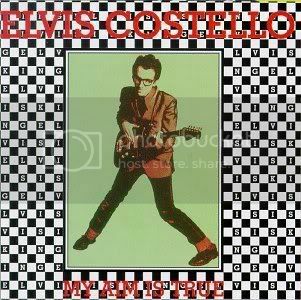 Costello’s most famous lyrics here still have enough punch to put even the most jaded listeners in the E.R. Favorite Tracks: "The House Is Empty Now", "God Give Me Strength"
5. Armed Forces (1979): The massive third album and the second with The Attractions, who are by this point pretty much the greatest backing band ever. I love the rumored original title for this one...Emotional Fascism. Favorite Tracks: "Accidents Will Happen", "Party Girl"
6. 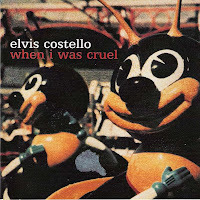 When I Was Cruel (2002): This was such an overwhelming album when it came out just a bit past five years ago and it still gives me chills every time I hear it. A stunning achievement that keeps improving with age. Favorite Tracks: "When I Was Cruel No. 2", "Alibi"
7. 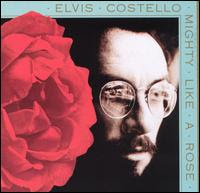 Mighty Like A Rose (1991): I'll never understand the hostile reception this album got. Beautifully written, played and featuring some of the greatest songs from one of the most vulnerable periods of his career. Favorite Tracks: "So Like Candy", "Couldn't Call It Unexpected No. 4"
8. 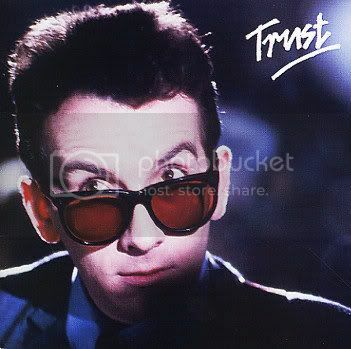 Trust (1981): I suppose in hindsight it was the first Attractions album that was flawed, but I love those flaws and I find myself playing it more than most of the other early albums. Favorite Tracks: "Clubland", "Big Sisters Clothes"
9. 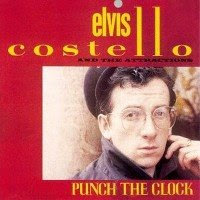 Punch The Clock (1983): I know it's overproduced but production be damned...this album has some of his greatest and most joyously subversive songs on it. 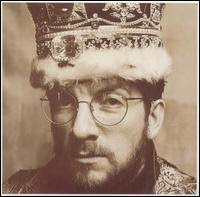 Plus, it's hands down my favorite album cover in his catalogue although its got some pretty rough competition. Favorite Tracks: "Shipbuilding", "Charm School"
10. 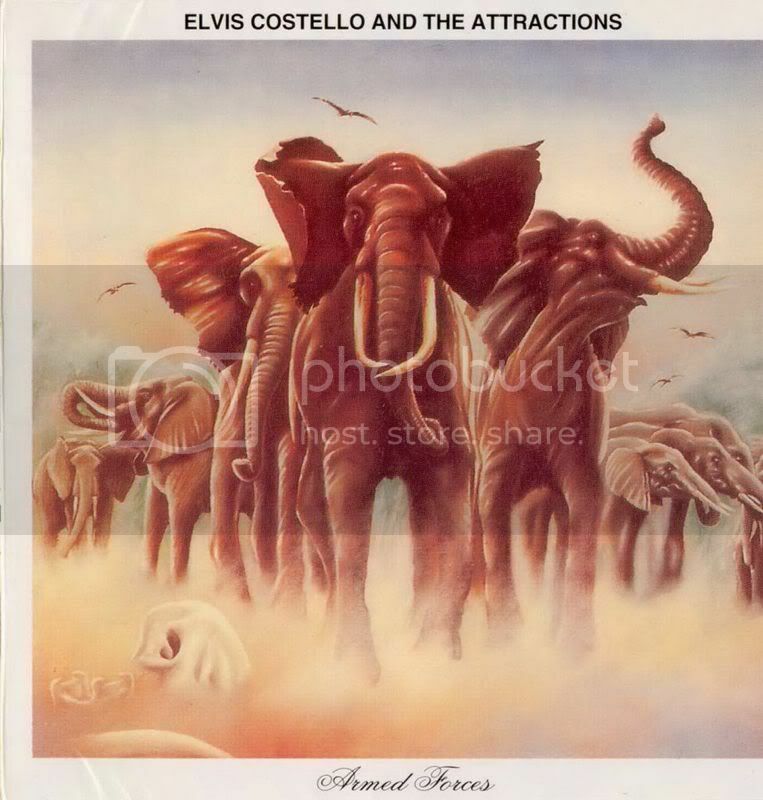 King Of America (1986): Backed by Elvis Presley's TCB band, this album stands as possibly his bravest. Add on to that the great songs and inspired work by everyone involved and you've got a track for track masterpiece. Favorite Tracks: "Brilliant Mistake", "Indoor Fireworks"
11. My Aim Is True (1977): What? The brilliant debut album not in the top ten? Blame it on the disappointing playing here by future Huey Lewis members as all of the songs are truly legendary. Favorite Tracks: "Mystery Dance", "I'm Not Angry"
12. Brutal Youth (1994): The Attractions return with this inspired and diverse collection of songs. This tour was the first time I saw Elvis and the show remains one of the major highlights of my gig going life. Favorite Tracks: "Kinder Murder", "Rocking Horse Road"
13. The Delivery Man (2004): Bruising Americana played like he and his band are coming off a three day bender. It's hard to imagine many more artists nearing fifty delivering an album this raw, twisted and vibrant. Favorite Tracks: "Either Side Of The Same Town", "The Delivery Man"
14. Get Happy (1980): It took me a long time to warm to this album but its rewards are numerous. The sound of a man clearly in trouble paying tribute to some of the most joyous music of his youth...a party record made by someone just over the edge. Favorite Tracks: "New Amsterdam", "Riot Act"
15. All This Useless Beauty (1996): Has an album of leftovers ever sounded so alive? Killer stuff here only hurt when one hears some of the songs left off like "Almost Idea Eyes". Favorite Tracks: "Complicated Shadows", "Distorted Angel"
16. 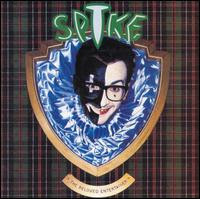 Spike (1989): Could use with some cutting but still one can't deny the power of Costello's most commercially successful project, at least here in the States. Favorite Tracks: "Deep Dark Truthful Mirror", "God's Comic"
17. 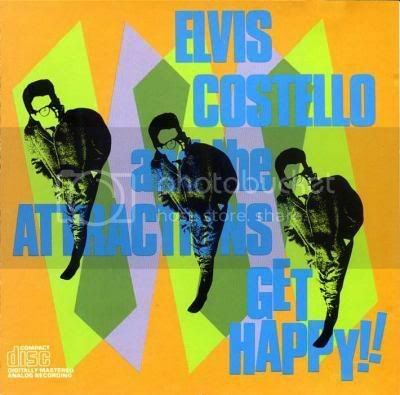 Goodbye Cruel World (1984): "Thanks for buying my worst album"...no problem Elvis, it's actually a pleasure if you can ignore the bad eighties production times 100 and a couple of off tracks...the bonus disc on the reissue is among the most essential in his collection as it shows how great many of these songs were before the dreaded team of Langer and Winstanley nearly destroyed them. Favorite Tracks: "Worthless Thing", "Love Field"
18. 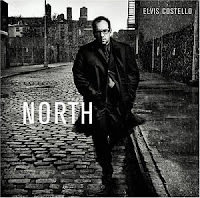 North (2003): I've always had trouble warming to to this near oppressively quiet album. Still, it is ultimately a rewarding if very demanding experience. Favorite Tracks: "Still", "I'm In The Mood Again"
19. The River In Reverse (2006): I'll be honest and say that I simply haven't played this one enough so it very well might rank higher for me one day. 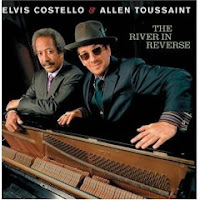 Favorite Tracks: "The River In Reverse", "Broken Promise Land"
20. 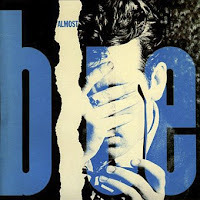 Almost Blue (1981): Still a disappointing listen but damn you gotta love the sheer nerve of the guy. Here he is essentially still known as a British punker travelling to Nashville to record an album of drunken country classics...what could be more punk than that? Favorite Tracks: "Tonight The Bottle Let Me Down", "Too Far Gone"
Limited to twenty, I am forced to leave out works like The Juliet Letters and The Kojak Variety as well as intriguing collections like G.B.H. and Cruel Smile. 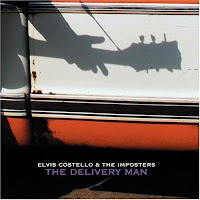 Costello's newest album, Momofuku, is getting ready to land and I can't wait to hear it. I'll be posting a full report of tonight's show later this week. I recently presented this as part of a Research Conference at my school. I hope it proves interesting to readers here. I'd like to dedicate this piece to the memory of Gordon Parks Jr., an gifted artist taken from us too soon whose place in American cinema needs to be reevaluated. 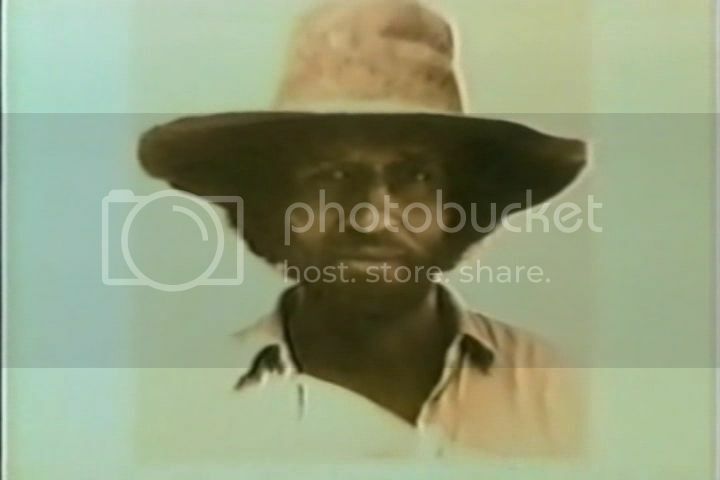 The strange saga of filmmaker Gordon Parks Junior’s Thomasine and Bushrod (1974) came to a tragic end on an April morning in 1979 when a small plane he was traveling in crashed into a Kenya mountainside. More than a decade later Parks’ father, famed photographer, poet and filmmaker Gordon Parks, remembered that the crash had been so bad that “only ashes” were left of his son making a proper burial impossible. The death of the younger Parks not only marked a eerie footnote to his most overlooked film, but also effectively ended one of the most controversial and misunderstood movements in Hollywood history. The so-called Blaxploitation genre is often looked upon as a genre consisting only of urban films centering on negative stereotypes of African American culture made by white filmmakers. A deeper investigation into the genre reveals a treasure trove of mostly forgotten films shot, written by and starring African Americans, focusing on family, childhood, politics and civil rights, with none being more startling than Thomasine and Bushrod. African Americans had appeared in Hollywood productions since the earliest films, but their roles were mostly relegated to ignorant sidekicks, apologetic caricatures and other harmful stereotypes. While there had been many independently produced African American films as early as the twenties, the ‘blaxploitation’ genre in the late sixties would mark the first time that African Americans would be given financing by major studios to make their own films. 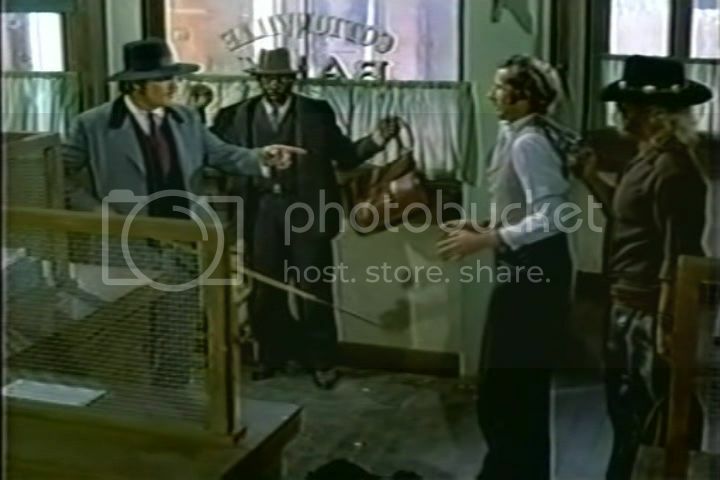 Thomasine and Bushrod is a particularly special production, as it was one of the earliest and only examples of a major Hollywood studio financing a film written, directed and starring African Americans in that oldest of genres, the western. 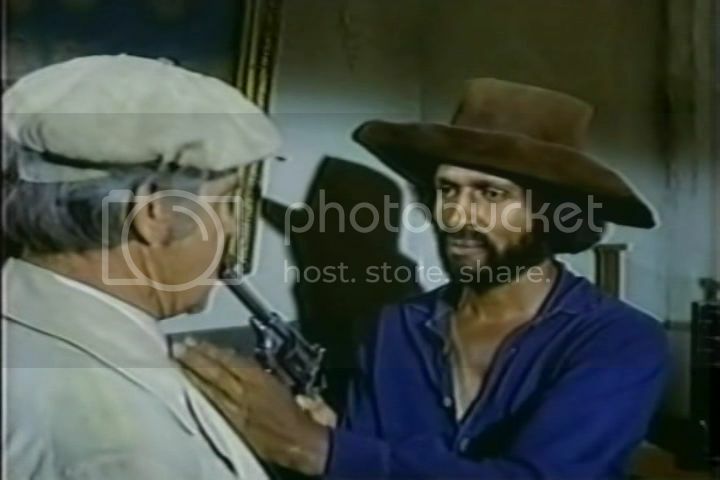 The story of Thomasine and Bushrod begins with Max Julien, a writer and actor best known for his role as the ambitious pimp Goldie in 1973’s The Mack. Author Darius James would note that Julien’s early life would be as far removed from his most famous role as possible and that he had “studied at Carnegie Hall’s Dramatic Workshop” and by his early twenties was appearing in “Joseph Papp’s New York Shakespeare Festival”. Julien’s role in The Mack would make him an overnight star but the film, like almost all of the ‘blaxploitation’ films of the period, would garner as much derision as praise. Author Donald Bogle would argue that despite its popularity The Mack exemplified the problems with the movement and “was a mess without much of a script” and that it was “gaudy and cheap”. Still, others found much to admire in the film and the genre, such as film historian James Robert Parrish who noted that Julien was one of the genre’s shining lights and was “talented and charismatic”. Despite its many virtues and its success with audiences, The Mack was looked upon as by many as a film made by whites about blacks, something that Julien wanted very much to rectify for his next project. A meeting between Julien with a young up and coming actress shortly after The Mack’s premiere would plant the seeds for what would eventually become Thomasine and Bushrod. Vonetta Mcgee was born in San Francisco in January 1940. After graduating from San Francisco’s Polytechnic High School in 1962 she became more and more interested in acting. After traveling to Europe, she began appearing in a number of Italian productions in the late sixties before getting steady work in a number of low budget exploitation films in the early seventies upon her return to America. 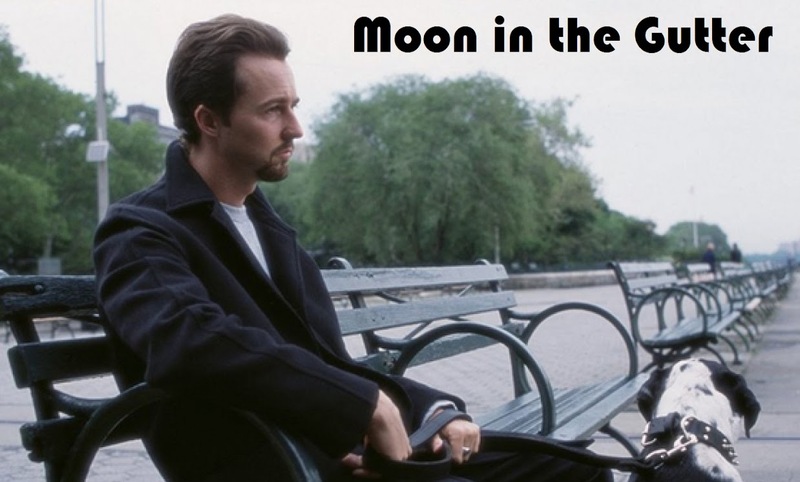 Shortly after their introduction Mcgee became involved romantically with Julien, who was in the process of working on his first screenplay. The script, centering on an African American female version of James Bond named Cleopatra Jones, was quickly refashioned as a vehicle for McGee. 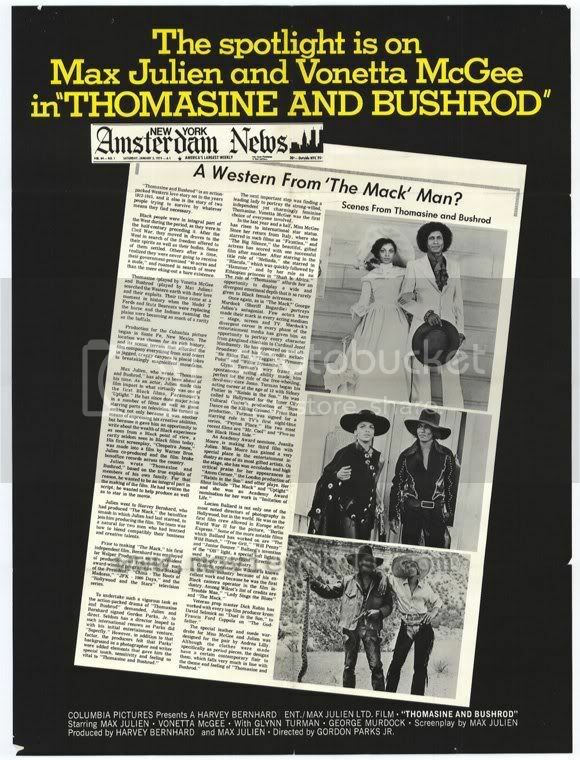 Once the script was sold however to Warner Brothers, both Julien and McGee were removed from the project, which caused Julien to quickly write another script, a western called Thomasine and Bushrod. Max Julien’s original script for Thomasine and Bushrod is a confrontational and genre bending work posing as a take on Arthur Penn’s influential Bonnie and Clyde (1967). Focusing on a fictional outlaw in the old west named Bushrod and his partner in crime and love, a former female bounty hunter named Thomasine, who steals from the rich in order to help out various minorities, Julien’s script and the final film would delight in reversing gender roles, questioning accepted history and rethinking the western genre as a whole. 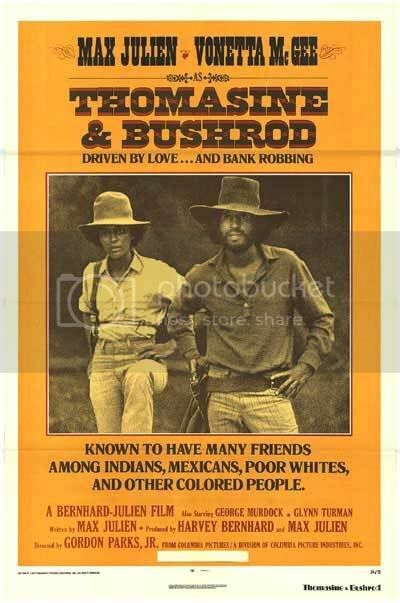 The script for Thomasine and Bushrod was bought by Columbia Pictures in 1973 and an agreement was made with Julien and McGee that they could both star in it as long they didn’t mind working with a relatively inexperienced director who had just scored a major success with his first film, 1972’s Super Fly. Gordon Parks Jr. was born just a few weeks before Christmas in 1934 and life immediately proved difficult for the young man. His father would remember years later that “Gordon Jr. had developed a serious asthmatic” condition and that “doctoring didn’t seem to help”. The young Parks would spend much of his early life inside and under his father’s shadow but the two were always close and they began to collaborate on various artistic endeavors and civil rights activities in the mid sixties. When his father, who had turned to filmmaking in the late sixties, scored big with his second theatrical feature, 1971’s Shaft, Parks Jr. was able to negotiate a deal to direct his first feature, which would turn out to be Super Fly. This production marked the first time the younger Parks would really make a name for himself and his short but intriguing film career that followed is an interesting mixture of his father’s early documentary work, his passion for photography and music and his interest in changing the way Hollywood viewed African Americans in film. Thomasine and Bushrod is a flawed production, hampered by a quick shooting schedule on a low budget in a scorching New Mexico summer, yet remains downright ingenious in the way it confounds so many expectations. There are several things that separate the film from almost any other before or since with the most obvious being that it would have African American protagonists in the old west. The most daring move the film makes though is with MgGee’s character Thomasine who is placed in the clearly more traditionally masculine role. Not only does her name come first in the title, but the character of Thomasine is shown time and time again to be smarter, stronger, more controlled and more interesting than the weaker Bushrod. Julien’s script suggests strongly a rethinking of not only the Western genre in the placing of African Americans as the leads but also in its forceful questioning of clear gender roles. Parks as a director obviously understood the subtleties of Julien’s script and how subversive it was. Filming McGee often from lower angles to give her power and authority while placing Julien much lower in the frame with the camera tilted down at him, Thomasine and Bushrod shows Parks to be a sensitive and intelligent stylist. This role as a stylist also distinguishes the film in another way, which is perhaps even more subversive than the gender and race relations it delights in subverting. Thomasine and Bushrod's biggest attribute is one of its most surprising, that being how much Parks, Julien and McGee chose to highlight that it was a film made in 1973 about 1873. Not content with making a mere historically accurate piece, Parks fills nearly every frame of the film with visual references to the seventies, a move that makes it clearly more about the period it was made in than the period it was set in. The outlandish and stylish costume design by Andrea Lilly and Mcgee herself, the hair styles, the soundtrack (which features a title track by San Francisco band Love) and even some of the dialogue are clearly products of the seventies. Many critics mis-viewed this as laziness and lack of research on the part of Parks and Julien, but today it looks to be a clear headed and deliberate decision on their parts that goes along perfectly with the other subversive thematic elements of the film. Thomasine and Bushrod isn’t a film attempting to be historically accurate, it is instead a work that questions just what accuracy means in cinema. The film is typified as the work of Gordon Parks Jr. by several visual motifs that he worked into all of his short filmography. These include a bittersweet slow motion love sequence and most notably a mid-film montage of still photographs of not only the actors but an extraordinary collection of rare shots of actual African Americans in the turn of the century old west. This section of the film is particularly important as it shows Parks not only marking himself as an auteur in the making but brings into question Hollywood’s continuing betraying of the historical events that critics accused Thomasine and Bushrod of ignoring. Parks film was released briefly in the summer of 1973 with a half hearted ad campaign by Columbia attempting to capitalize on the real life relationship between Julien and McGee. The film failed to attract an audience and the critical community mostly ignored the production, although Nora Sayre in The New York Times found much to admire and picked up on how “utterly contemporary” the film was deliberately trying to be. The only other point of recognition came in late 1973 when Julien’s script was nominated for an NAACP award, which it lost. 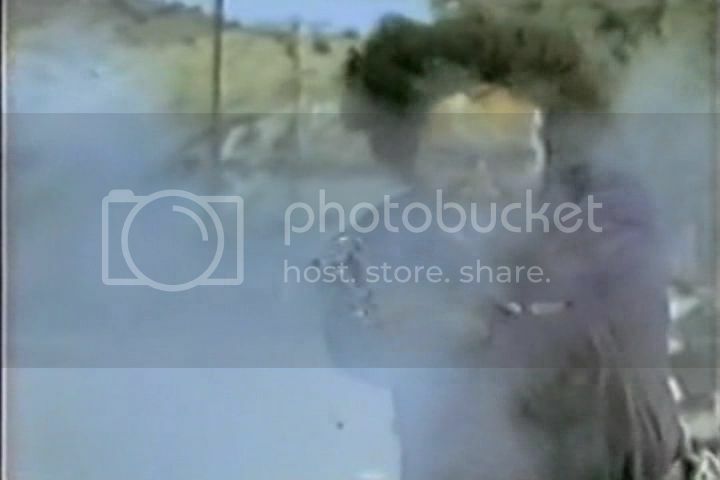 Outside of a handful of television airings, Thomasine and Bushrod was pulled from circulation in 1973 and has never had a home video release. It is virtually a lost film. The films failure hurt all three of the main player’s careers. McGee has spent the rest of her career in mostly supporting roles while Julien dropped out of sight for nearly a quarter of a century. 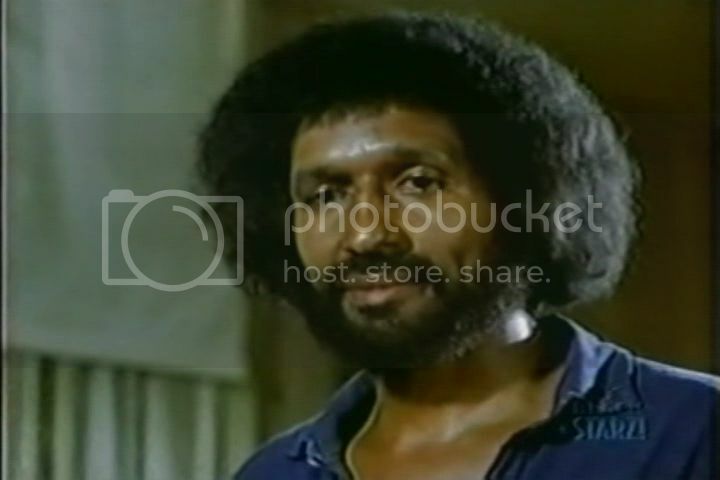 He resurfaced in the late nineties as his role in The Mack gained more and more popularity, but Thomasine and Bushrod remains his swan song as a lead actor and a screenwriter. Gordon Parks Jr. completed just two more films, 1974’s Three The Hard Way and 1975’s Aaron Loves Angela, before losing his life in that Kenya plane crash of 1979 while scouting a new film. His father would write that television stations all over the world were “reporting my death” (336) instead of his sons marking the talented Gordon Parks Jr. as anonymous in death as in life. His Thomasine and Bushrod remains one of the great-unnoticed chapters in not only African American film history, but also American film in general.